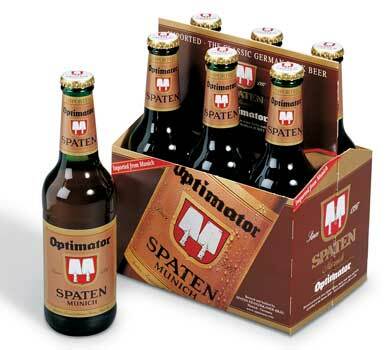 One of my mother in law’s favorite beers is Spaten Optimator. I searched for a while for a clone recipe for this beer, but I didn’t find anything that satisfied. It’s a doppelbock, so I guess I could find a few doppelbock and wing it. Making a doppelbock might be a good first lager to make since it is so malty. I think I would have a better chance in making a drinkable beer. Here is my attempt at a Spaten Optimator Clone recipe. If you have a clone recipe for this beer, please post it as a comment. Thanks!